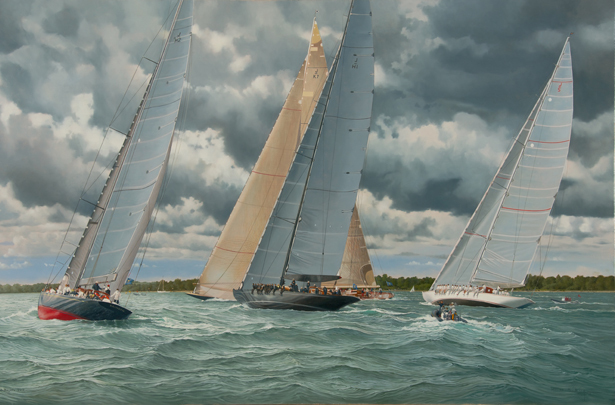 Depicting all four yachts from the J Class Solent Regatta 2012 short tacking as they beat to the West towards the up-wind ‘gate’. Velsheda has managed to catch the other J’s on starboard. This has forced Lionheart to start tacking and Rainbow will have to follow. Ranger will be able to hold her course and duck Velsheda’s stern.